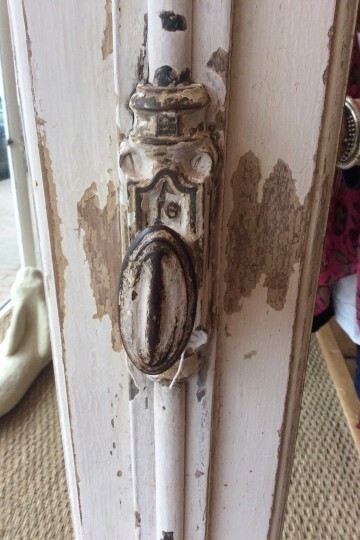 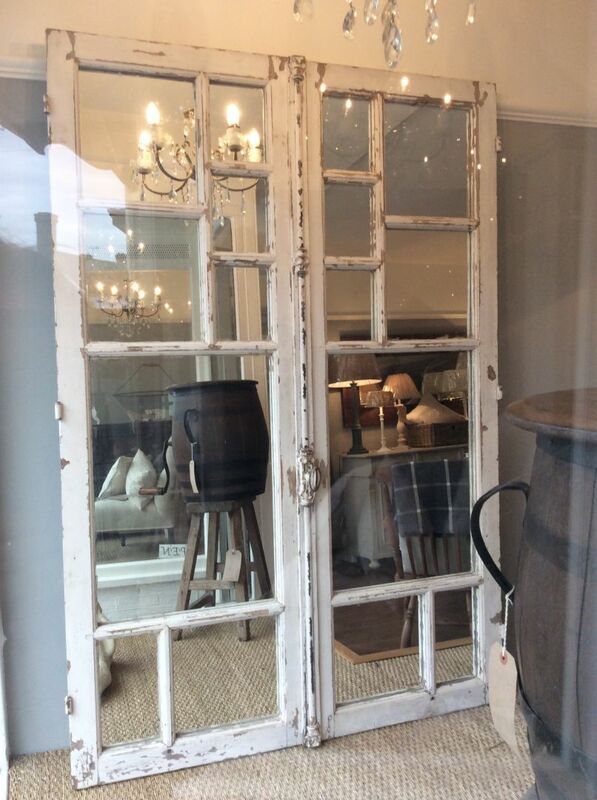 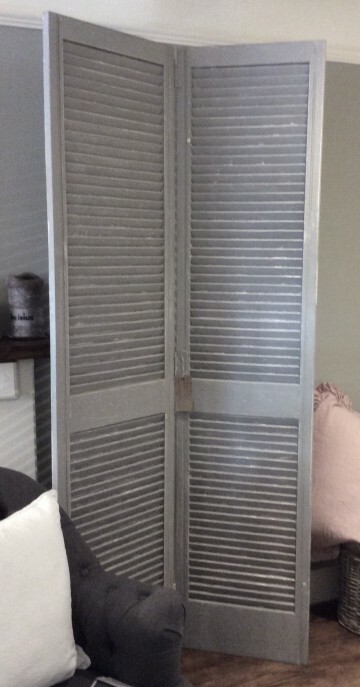 A stunning pair of French vintage windows having been beautifully distressed. The old glass has been replaced with mirror segments - beautiful old redundant opening mechanism and so handy that the whole is in two separate pieces - making access no problem. A really lovely genuine piece from France. 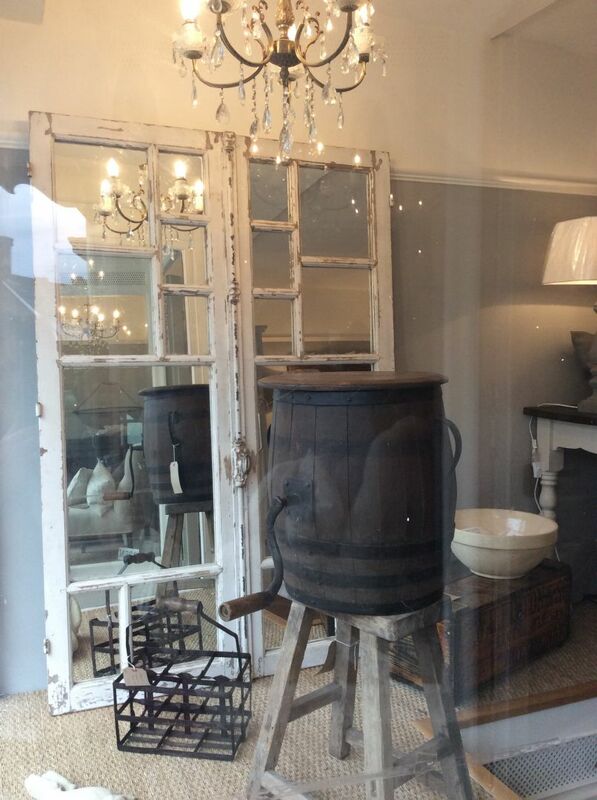 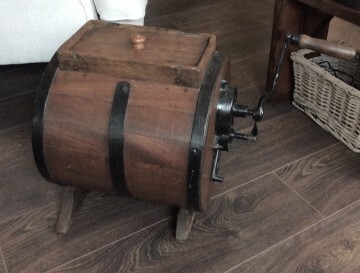 Location: Pepperbox Interiors, Cuckfield, West Sussex.